Fiat currently owns a 58.5 percent stake in Chrysler, but they're apparently cooking up a scheme that they hope will net them some quick cash: buy up the remainder of the company and then launch a share offering in the U.S. Mopar guys may have to get ready to become Fiat guys. The Wall Street Journal (sub. required) reports that according to "people familiar with the matter," Fiat CEO Sergio Marchionne wants to buy all of Chrysler and then take it public to replenish their balance sheets. Apparently, he's had this idea since 2009 when Fiat bought a stake in Chrysler from the U.S. government following their bailout. The 41.5 percent of the company Fiat doesn't have is owned by a UAW Retiree Medical Benefits Trust, and the shares could be worth anywhere from $1.75 billion to $4.27 billion, the newspaper reported. The Journal makes it sound like this deal is more than just a rumor, as they say Fiat is in talks with several banks to pull it off. This would be the first time Chrysler was a public company since they went private in 2007. A merger could help Fiat because auto companies need to continuously spend billions in capital to develop new vehicles and update plants. A U.S. listing would create a new source of funding for the company, the people familiar said. Mr. Marchionne also is eager to combine the companies in part so Fiat can tap cash held by Chrysler. Fiat is prevented from accessing Chrysler cash by covenants in Chrysler's debt agreements. A fully-merged company would make it easier to refinance the debt and lift the covenant restrictions, analysts said. Mr. Marchionne has said he believes Fiat will be able to merge with Chrysler by 2014, although Fiat must first agree on a price with the UAW trust. Fiat will likely have to depend largely on its own cash and loans to complete its acquisition of Chrysler. 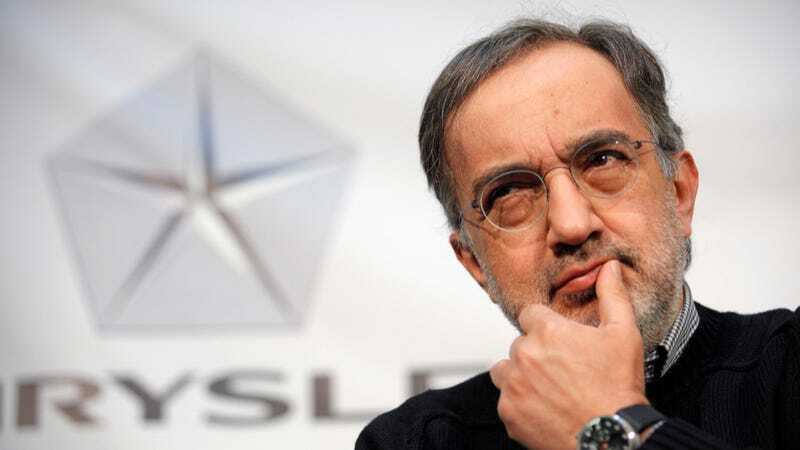 [...] In conversations with advisors, Mr. Marchionne has been vocal about his desire to reduce Fiat's dependence on operations in Italy, where auto sales are slumping and the government and labor unions have resisted efforts to downsize, people familiar with the discussions said. Fiat also apparently has the assets to acquire all of Chrysler, but doing so is a move that could risk a credit downgrade and increase borrowing costs. But this may be a good thing. There's no denying that Fiat has done right by Chrysler. The company has returned to profitability repaid its government loans, and their new products are quite impressive. We've seen a marked improvement in the quality of their cars, from the new Dodge Dart all the way up to the SRT Viper. How do we feel about Chrysler going full Italian and then public again? And Mopar guys — do you plan on swapping hemis into old Lancia Betas if this goes through?